You can’t say too much about certain things in this business and one of them is certification. Also beyond that, or perhaps before it, you want to consider which professional organization is the right one. There are plenty of good organizations such as the American College of Sports Medicine (ACSM), which provide relevant and effective qualifications. You should be pursuing advanced certification on an ongoing basis and encouraging your staff to do the same. In the competitive fitness and gym management industry you have to keep moving along just to keep up. Rather than taking up a lot of space to go into details of a particular organization, I’d like to discuss the framework that can help you get the right benefits and connections out of any organization that you ultimately choose to join. 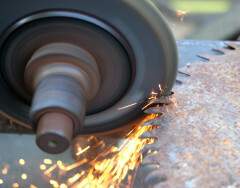 Stephen Covey used to say that one of the habits of successful people is to sharpen the saw. By putting some energy into having the most up-to-date tools, your resources will go further toward your desired results. Getting involved with the industry and increasing your level of qualifications is the modern way to sharpen the saw. This was something that I tackled in a previous article about keeping your certifications up to date. Do you do it for the paperwork or do you use it as a networking tool? You should do both! At the very least, you should be able to cover these two important career objectives in one membership, Continuing Education Credits (CECs) and expanding your network of connections throughout the industry. Staying on top means staying informed and connected to the industry. However, you want to balance this with the time and effort of being active. So make sure that the one or ones that you join will serve both objectives. The body that sets standards in credentialing in the United States is The National Commission for Certifying Agencies (NCCA), which is part of the Institute for Credentialing Excellence (ICE). It’s an umbrella organization that extends across many professions and includes the fitness industry. Some of the largest certifying bodies in fitness are member organizations. The ICE provides a structure for qualifications that supports interchangeability and recognition across different organizations. Select your membership from the list of NCCA members and you can be sure of the highest membership standards. The NCCA provides a framework for credentialing bodies to assess outside credits and credentials within the terms of the organization. That means that there is some flexibility in where you get your credits from and to where you apply them. As the marketplace for fitness services continues to evolve and expand the opportunities will fall into the laps of the professionals who are in the know; the key to having the connections and network contacts to hear about the latest trends and opportunities. Do you do it for the paperwork or do you use it as a networking tool? You should do both! Staying on top means staying informed and connected to the industry. However you want to balance this with the time and effort of being active. So make sure that the one or ones that you join are both. When you keep moving and aspiring to build your career and get involved with the industry you make room for opportunities to come to you. It is great when your operation is going well and I for one do not believe in fixing something that isn’t broken. However, trends can reverse quickly and you don’t want to be caught without a contingency. When you are active and involved you work to make opportunities come to you and, if you believe in fitness as I do, this type of continuing improvement is at the very core of the issue. Covey, Stephen R. The Seven Habits of Highly Effective People. New York, NY: Free Press, 2004. Fagan, Lawrance. Keeping Certifications Up To Date. July 9, 2014. https://blog.gyminsight.com/2014/07/keeping-certifications-up-to-date/ (accessed July 9, 2014). Institute For Credentialing Excellence. NCCA-Accredited Certification Programs. 2014. http://www.credentialingexcellence.org/p/cm/ld/fid=121 (accessed July 7, 2014). in fitness industry, which one is the best?